The legendary Charley Pride performing live. Let me start by asking you how old were you when you discovered you liked country music? My daddy had an old radio, and we listened to the Grand Ole Opry. My mother used to write off for pictures of the groups who were playing on the Opry. I remember just this year a man called Michael Manning was interviewing me. We were talking about those group pictures from the Opry. His eyes lit up like a Christmas tree— “I got some of those and I’m gonna let you have one.” He bought me one of the pictures in a folder to give me. I played just open bar chords. I didn’t know how to tune it conventionally until I started recording with Jack Clement in the ’60s. I remember I would chord it with my two inside fingers. I still don’t know how to read music. Oh, yes! The main thing I did wrong when I got the guitar was that I sat out in the wagon near the hogs and left the guitar in the rain that night. I could never keep the guitar in tune. 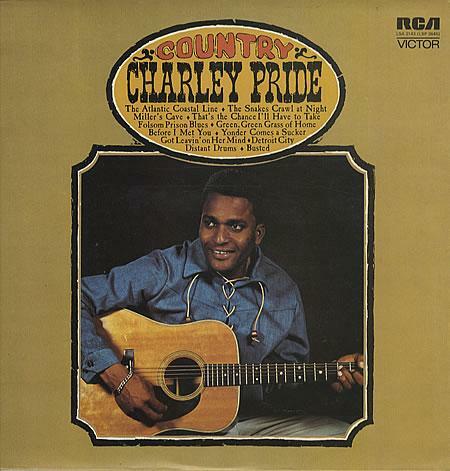 The very first Charley Pride RCA Victor album. This is the one that contained “The Snake’s Crawl at Night” which was his first hit record. You started your career in baseball and then something happened in 1963—something that changed your life’s direction. Can you tell us about that? I moved to Montana to play in the Pioneer League. You see, baseball plays quite a part in my life. Red Sovine and Red Foley came up to do a show in the capital… Helena. I paid my money and went to see them. The deejay said to me, “All right, I’m going to give you a signal at the intermission. I want you to come backstage and we will talk to the guys.” The thing is… if he gave a signal, I didn’t get it. His name was Piny Stokes. I just got up and went backstage and met the guys and started singing. The promoter asked me if I’d like to do a song or two on the show. I did “Heartaches By The Number” and one of Elvis’ songs, maybe “Let Me Be Your Teddy Bear.” Afterwards, Red Sovine and Red Foley looked at each other and said, “I ain’t never seen anything like this before. You ought to go to Nashville,” and that’s how it came about. That’s how I left baseball and moved into the music business. You did well with the baseball too, though, didn’t you? Oh, yeah! I made it to majors. I was in the Angels in 1961, but I didn’t stay. I gotta tell you something too about making it with the Angels in ’61. Gene Autry was sitting, eating a sandwich, and I said, “Sir, don’t let them send me away. I’m on a trial basis…” he looked up and said, “I own the club, but I don’t run it. You’ll have to talk to the manager, Bill Rigney.” They sent me packing; but I had a chance to go to the Mets the following year, but they ran over my ankle and broke it in ’62. But I still went down there but they wouldn’t look at me. So, I went back to Nashville, and I went to where Red Sovine told me to go—Cedarwood Publishing—and I met Jack Johnson, and from there I met my one and only first manager who took me to Jack Clement and we did “The Snakes Crawl at Night,” which Chet Atkins took to Monterey, California. And the rest is history now. Do you think a higher power was in control of your life at that time? 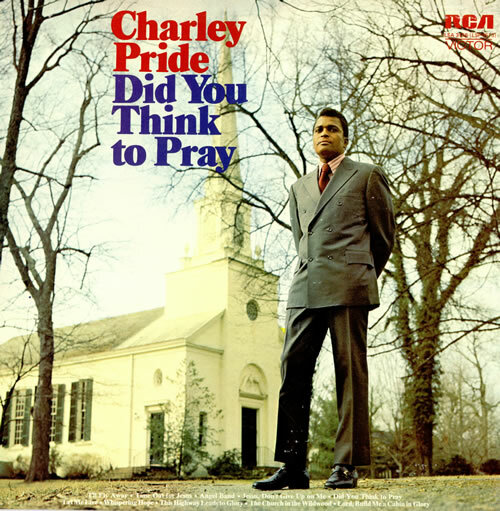 Charley’s first gospel album on RCA. Now, you became what some people say is an “overnight” success in the ’60s. You won so many awards. Out of all of them, is there one that’s more special to you than the others? They are all special to me. They really are. But the Country Music Hall of Fame award is at the top. I just got one this year. It’s called “The Lifetime Achievement Award” from New York. You were a late joiner of the Grand Ole Opry. How come you didn’t join until the ’90s? Why didn’t I join the Opry until 1993? I had a standing invitation since the first time Ernest Tubb brought me on stage to sing on January 1st , 1967. My one and only manager Jack Johnson said, “Now, Charley… now I want you to join the Opry. But they got a criteria here, man. They want twenty-six Saturdays out of the year. You don’t get but eight bucks when you play the Opry. It’s a good, prestigious thing, but twenty-six Saturdays is when you make a lot of your money.” I didn’t argue at all. So, in 1993, my manager said, “There ain’t no criteria now. You should join the Opry.” So… I did. (laughs) Did they pay you more than eight dollars by 1993? Did you ever sing at the Crystal Chandelier or the Panther Hall in Texas? Couple of hot spots back in the day, right? 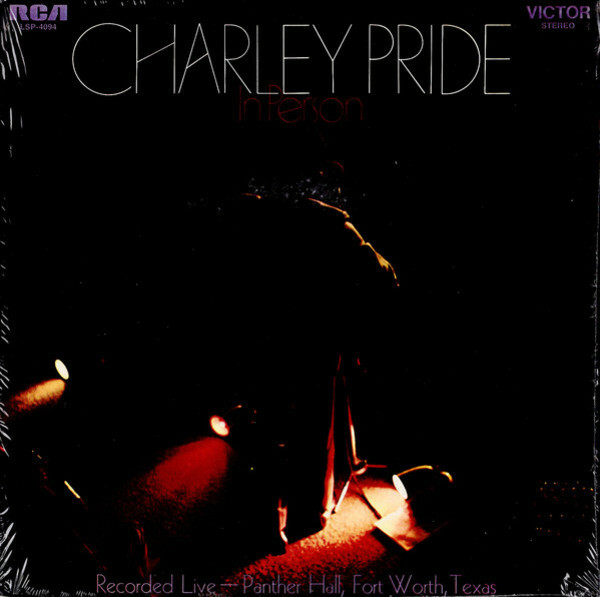 The great ‘live’ album that Charley recorded at the Panther Hall, Texas. Let me ask you this. 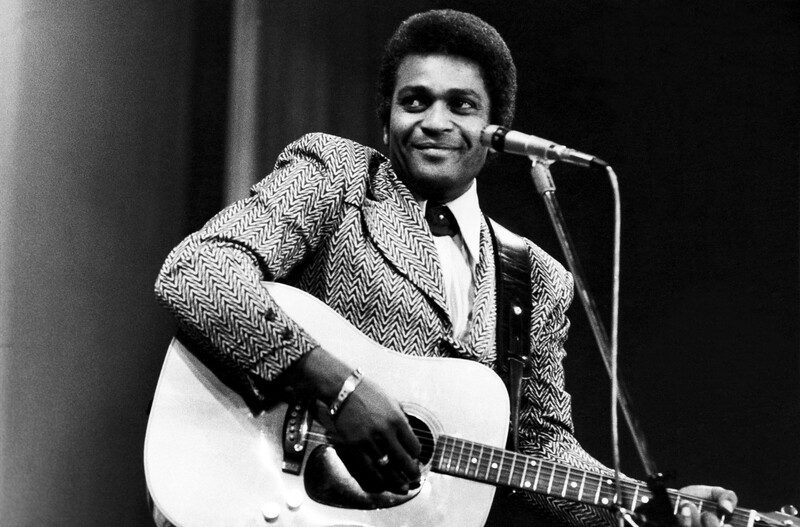 What was that special something that Charley Pride had that a singer like Stoney Edwards didn’t have? Well, they liked my voice. It really does just come down to having that magic ingredient called talent. You were drafted in 1956. How was military life? How were you treated? Well I got out in ’58. It was pretty good. You met your wife before you went into the military, right? How many years have you been married, Charley? Ten years and a half century. What’s your secret to such a successful, long marriage? She put up with me. That’s it. In all honesty, we didn’t try to change each other. We let one each other breathe. You know? Has there been one single individual who has influenced your life and career more than anyone else? I don’t think it’s been just one person. It’s been a lot of different people. I’ve recorded all kinds of writers like Ben Peters. About two probably. I wrote a song for my Christmas album called “Santa and the Kids.” I only did the one Christmas album. I have one I never finished called “What Is Wrong with My America,” and I don’t know where it is now because Lawrence Welk bought my publishing company and then someone else bought it, so I don’t know where it is. You’ve just released a new album called “Music in My Heart” Your first for a few years. Was there a reason for the break between this album and your last one? Well, we just didn’t record is all I can say. We ain’t planning on letting that happen again. We already have three or four albums just ready to go. I hope to do a duet album. I’ve lost so many of my peers like George, Tammy, Conway and John. We just lost Glen Campbell. I would like to get some duets with some of them before we all leave here. Yeah, I leave tomorrow for Ireland. That’s a long way from Texas. No, I don’t think so. It’s been mentioned to me, but I don’t see any reason right now, the way I’m still wanted out there. We were in Bayfield, Wisconsin and it was sold out, and I hadn’t been that far in a long time. Well, I have to say, Charley, that I hope you keep on going and recording great albums like this new one. It’s been a thrill talking to you. 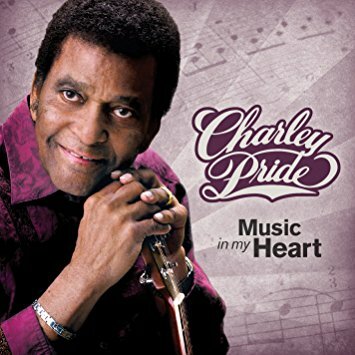 The latest Charley Pride disc is a winner! Thirteen songs all ringed with pure gold and waiting for your home stereo! Catch your copy today from Amazon by clicking here!